On the banks of the Chambly Canal, visitors may notice a tall plant that looks like a weed: milkweed. Like other plants along the canal path, they were purposely introduced by Parks Canada as part of an eco plan to foster the cohabitation of species of flora and fauna. Milkweed is a plant with fragrant pink, orange and sometimes red blossoms. Its nectar attracts many types of insects and pollinators such as bees, wasps, butterflies and hummingbirds. At various stages, a number of different insects feed exclusively on milkweed. This is the case with the monarch caterpillar, which is why the monarch butterfly’s survival is closely tied to milkweed. 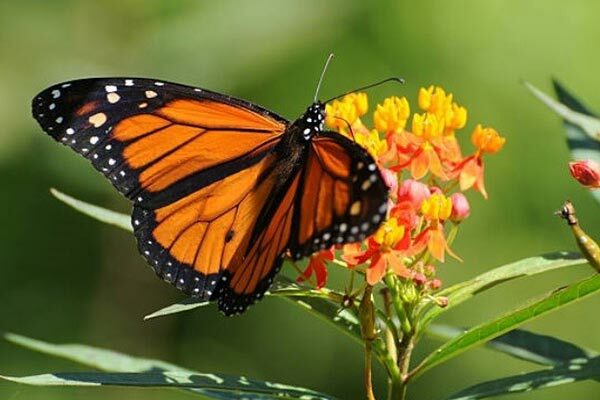 By planting milkweed along the banks of the Chambly Canal, Parks Canada hopes to help save the monarch butterfly. The Committee on the Status of Endangered Wildlife in Canada (COSEWIC) currently considers the monarch as endangered and the Species at Risk Act (SARA) lists it as being under special protection.